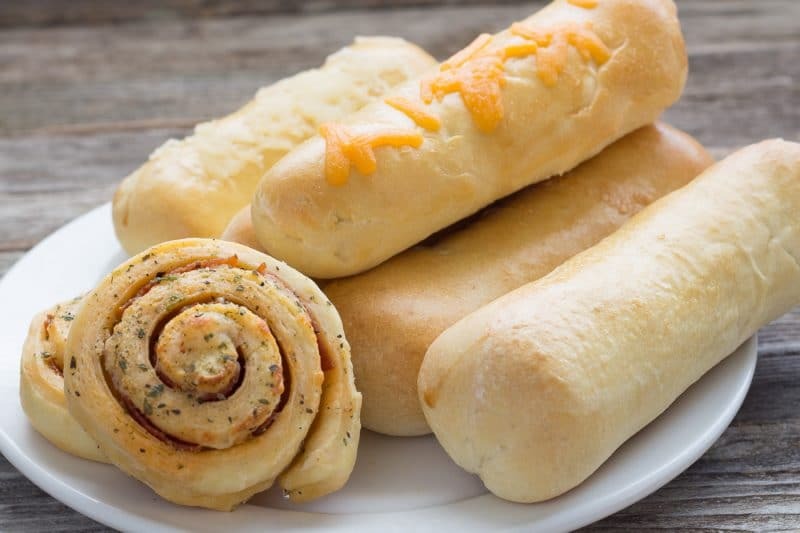 Easy, forgiving yeast dough recipe. Use it for Sausage Rolls, Pepperoni Roll-Ups, Pepperoni Mozzarella Rolls, Kolaches, Dinner Rolls, and even Pizza Crust. Can be made a day in advance and stored in the refrigerator. 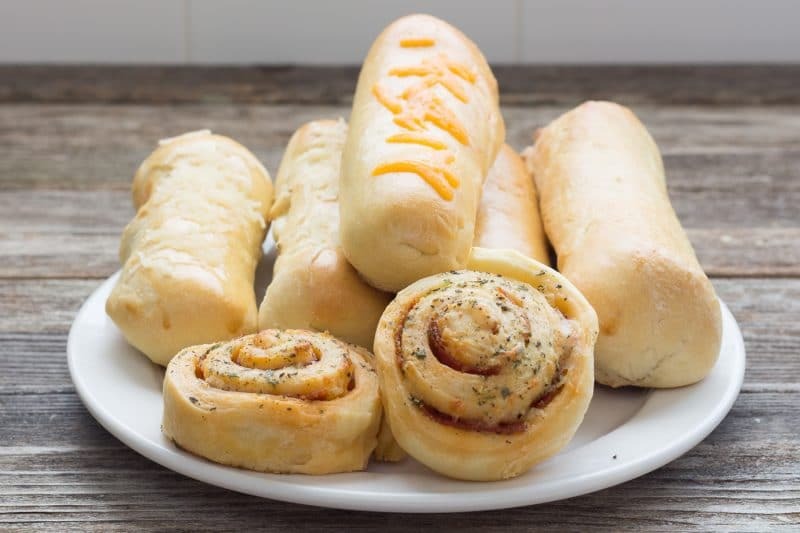 The recipes for all of these use less than a full batch of this dough recipe, but whenever I am making the dough, I usually make a full recipe and then make some of everything pop it all in the freezer or refrigerator. 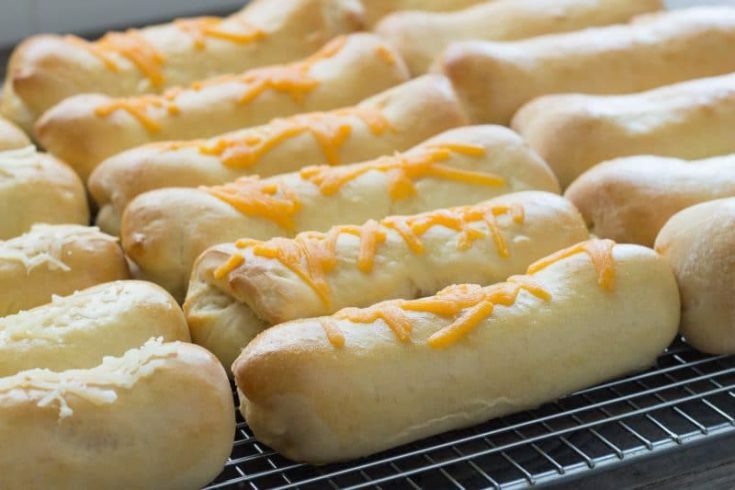 If company is expected I will make an entire batch of Versatile Yeast Dough and turn the entire thing into Pepperoni Roll-Ups. 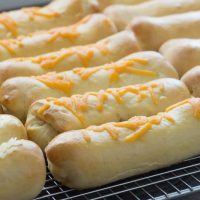 These seems to go pretty fast and people generally like anything with pepperoni, cheese, and some form of yeast dough. This bread dough recipe needs at least 4 hours of prep time if you plan on using it the same day. So please plan appropriately. It is fine in the refrigerator overnight, I have left it in the refrigerator for 18 hours before when life happened. It was fine. It was actually beyond fine, it was one of the easiest to work with yeast dough I have ever used. 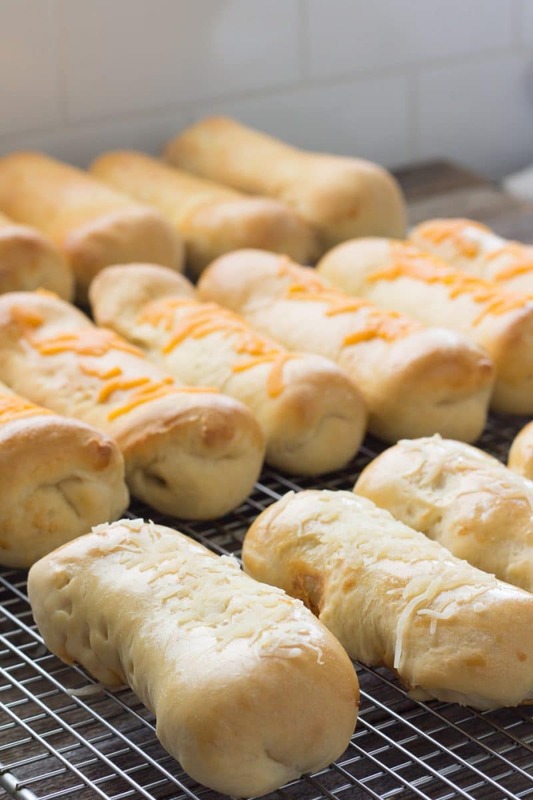 The dough will be slightly stickier than other yeast dough, so if you have experience working with yeast dough do not panic and add more flour. You want this one to just “kiss” the bowl. Too much flour will make this one too tough. Do not use too much flour as you are rolling this dough out, you need to be able to seal your filling into these by pinching the seams together. If the dough doesn’t want to stick to itself, add just the tiniest amount of water with a pastry brush to the stubborn areas. You can coat this dough with slightly beaten eggs, butter, garlic butter, or just leave them plain. They all turn out! 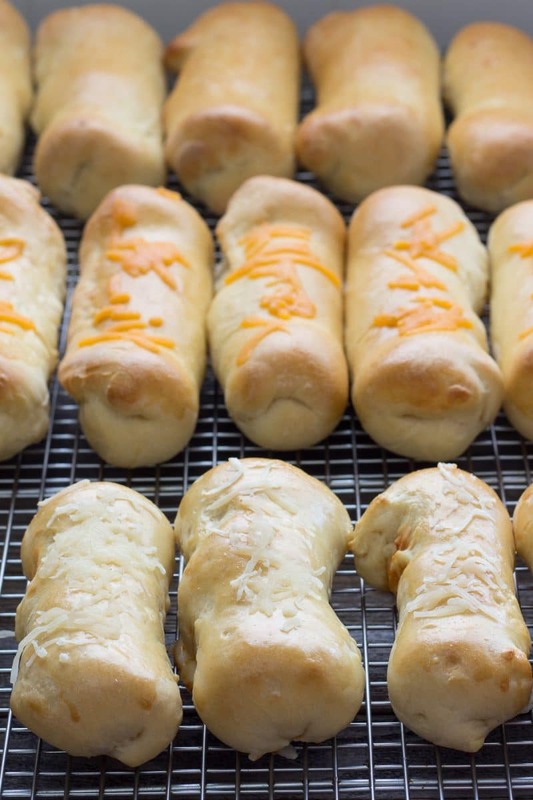 Easy, forgiving yeast dough recipe. Use it for Sausage Rolls, Pepperoni Roll-Ups, Pepperoni Mozzarella Rolls, Kolaches, even Pizza Crust. Can be made a day in advance and stored in the refrigerator. Melt butter in a microwave until just melted, set aside and allow to cool. Heat milk now so it has time to cool if it has been overheated. After the yeast has bloomed, add remaining sugar, eggs, milk, salt, and melted butter to a mixing bowl and mix well. Dough hook or paddle can be used. Add 2 cups of flour, mixing well. Add an additional 5 cups of flour, 1 cup at a time. The dough should be well-formed, while slightly sticking to the bowl in one or two spots. Remove dough from mixing bowl and place into an oiled bowl. Turn dough in the bowl to cover all exposed dough with oil. Cover bowl with kitchen towel. Alternatively, plastic wrap can be loosely placed over the bowl. Set dough aside in a warm place for 2 hours. After 2 hours, deflate the dough and recover. It is now ready to be used in other recipes as directed. Cook time listed is only for minimum rising time.